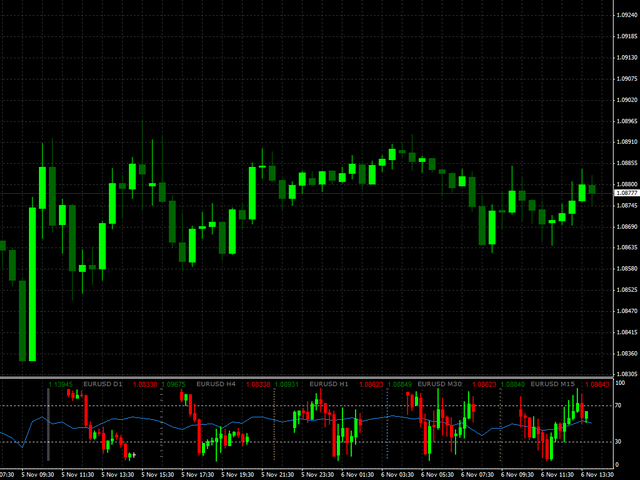 The indicator displays minimized charts of any symbol from any timeframe. The maximum number of displayed charts is 15. The charts can be located both in the main and bottom window. Two display modes: candles and bars. 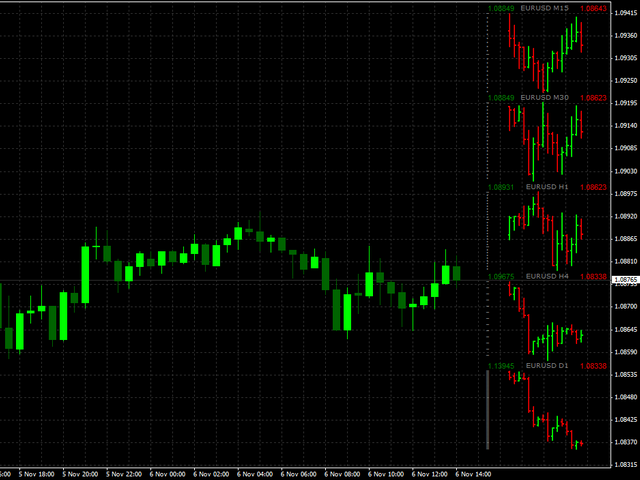 Amount of displayed data (bars and candles) and chart sizes are adjustable. I know it free and one should be thankful....however this is - CRAP! This indicator is put together very well. 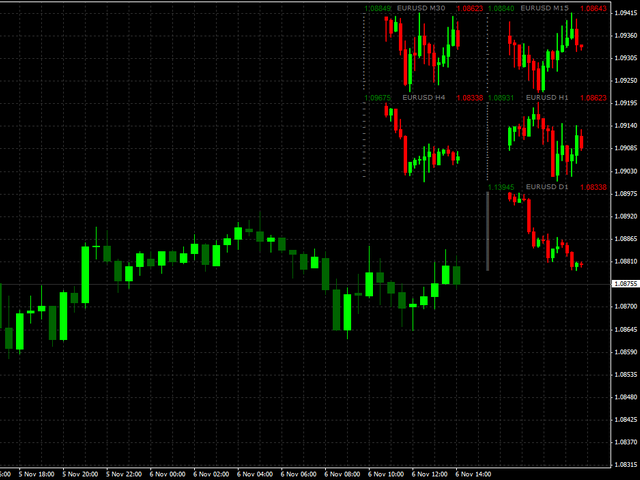 Great way to look at price action in different timeframes.